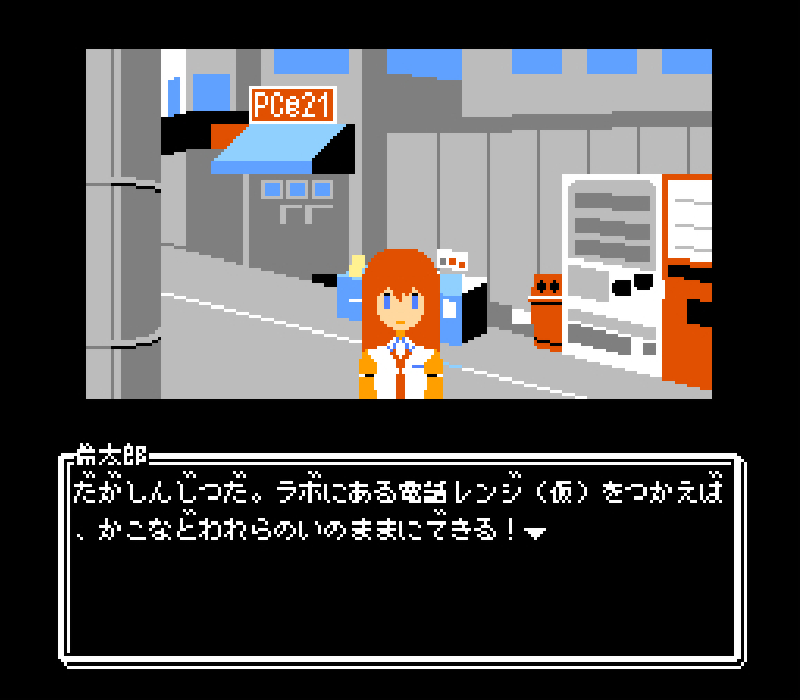 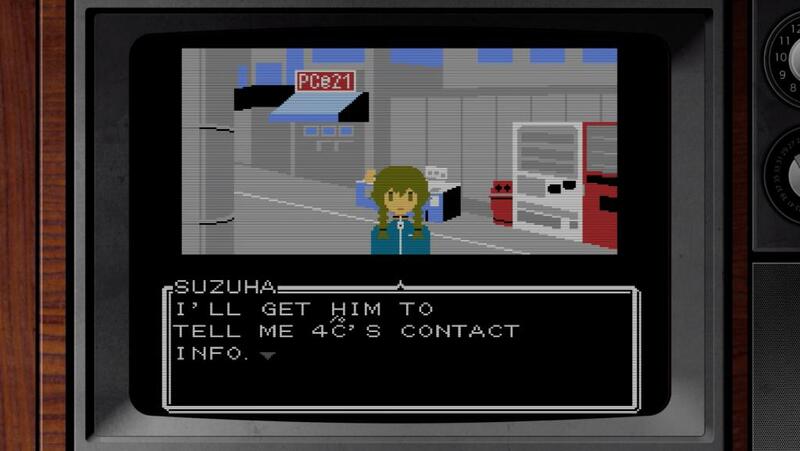 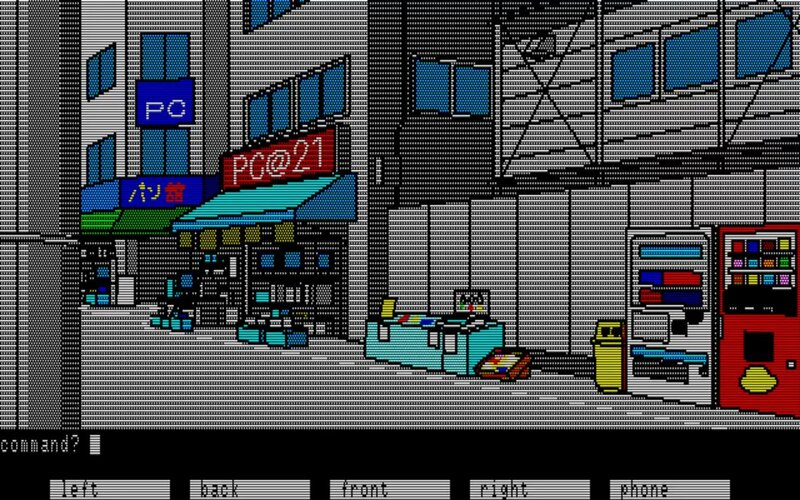 The recent 8-BIT ADV STEINS;GATE isn’t the first 1980s-themed Steins;Gate demake. 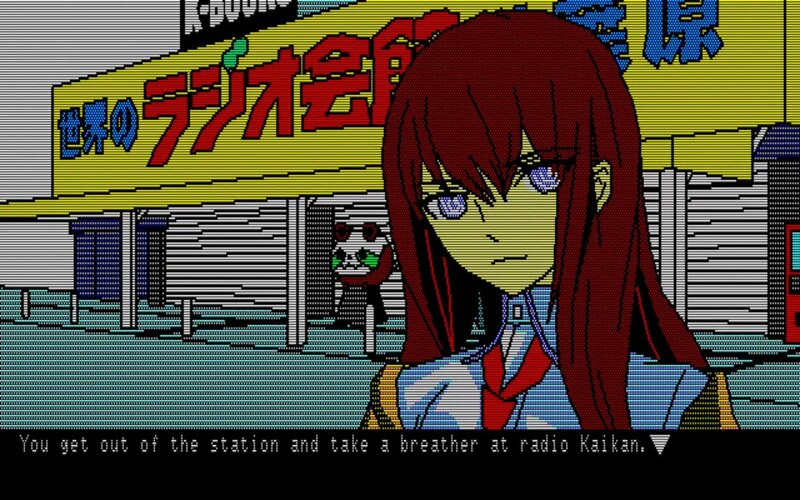 These screenshots are from 2011’s Steins;Gate: Variant Space Octet, and they recreate scenes from the original Steins;Gate — soda machines and all — in the style of the NEC PC-88. 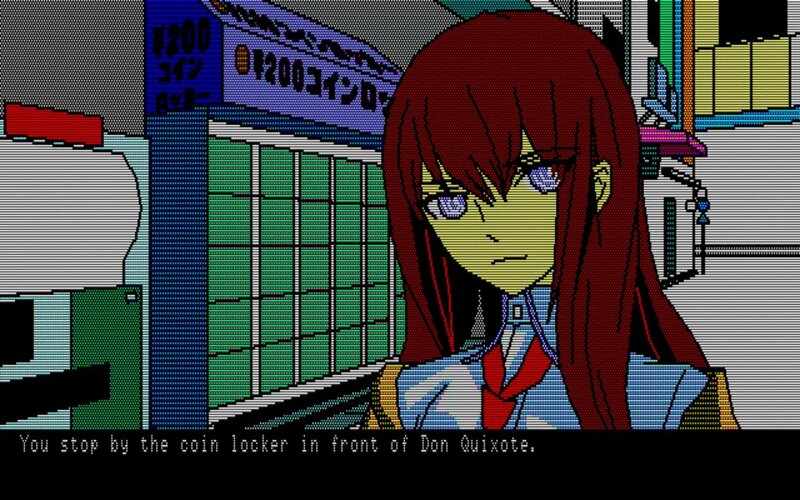 Steins;Gate Elite was released in the US yesterday, and the Switch version includes an 8-bit reimagining of the original Steins;Gate as a bonus. 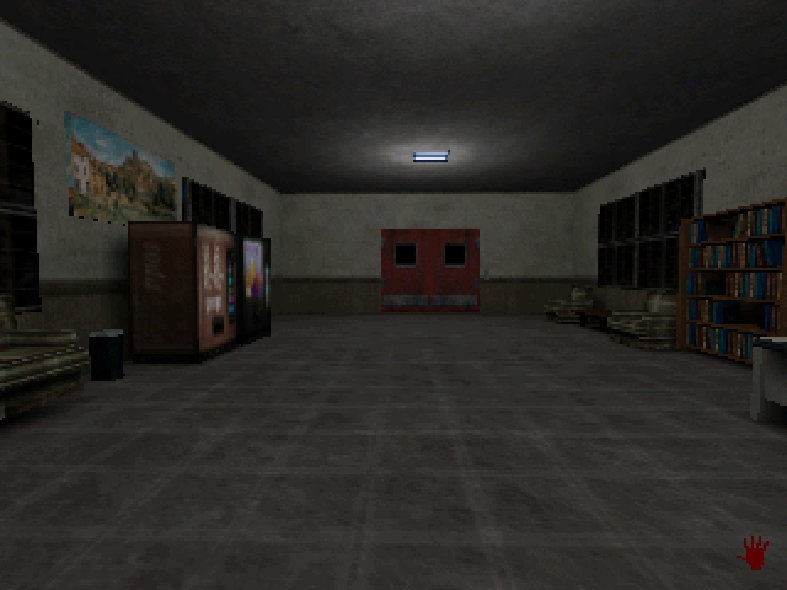 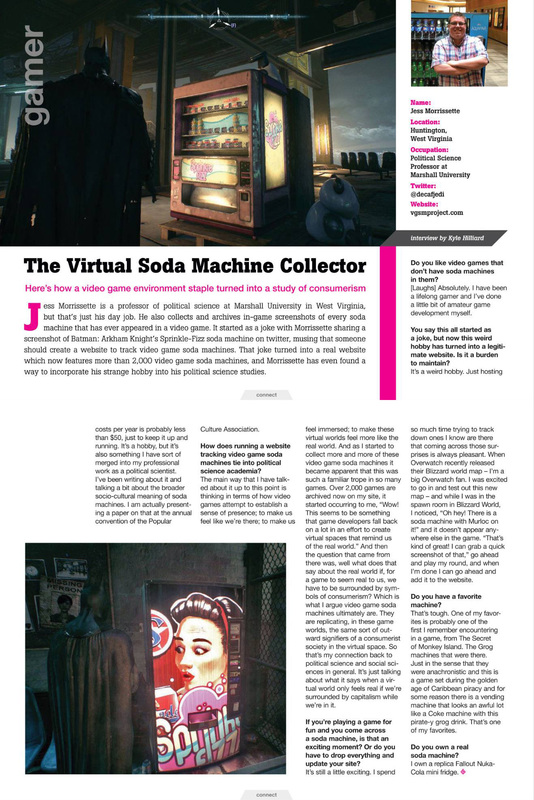 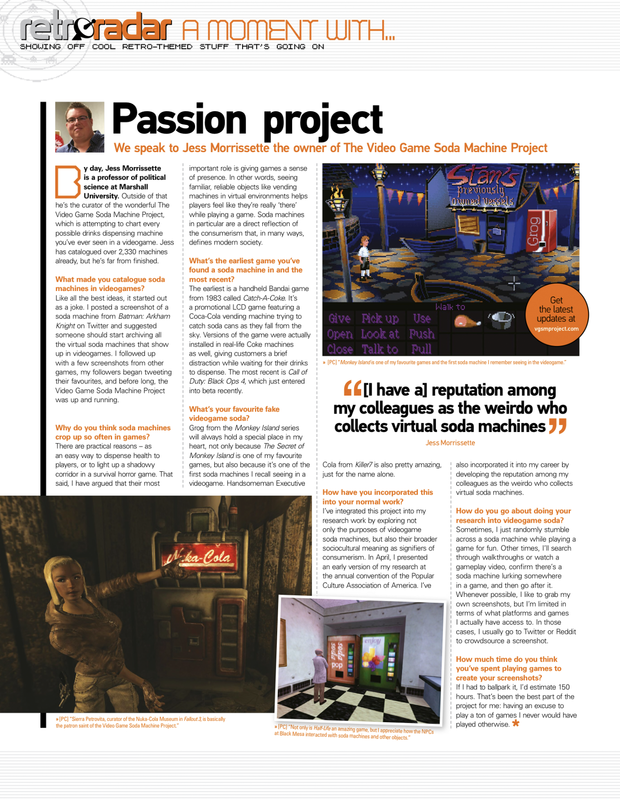 These screenshots recreate a scene previously archived in this entry, soda machines and all. 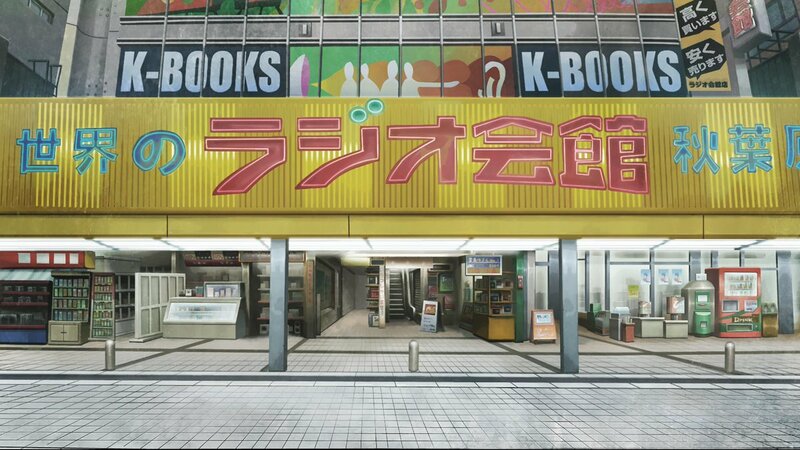 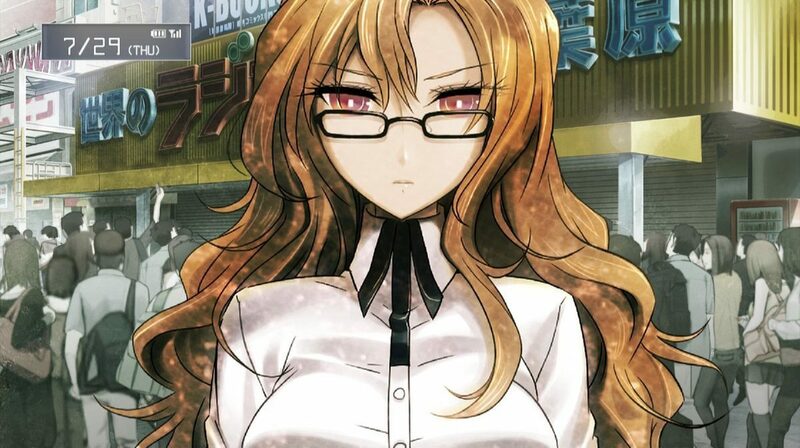 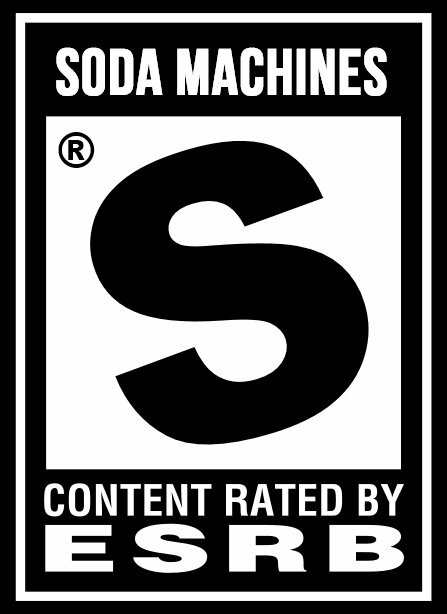 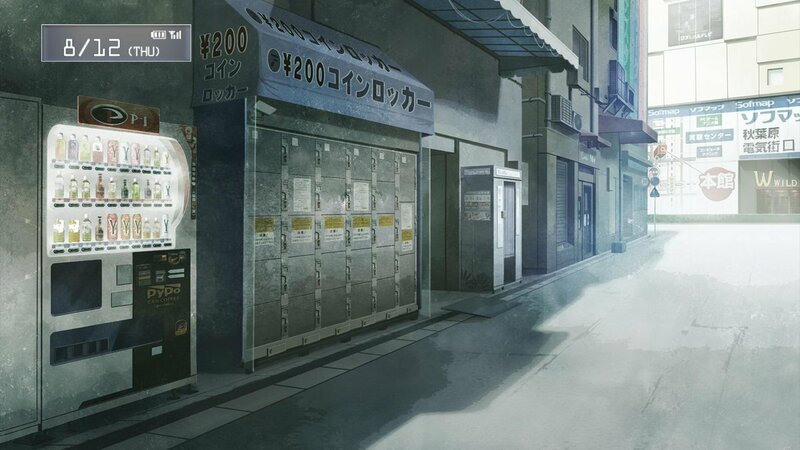 Visual novel Steins;Gate is set in Akihabara, so it’s not surprising that it features its fair share of drink machines. 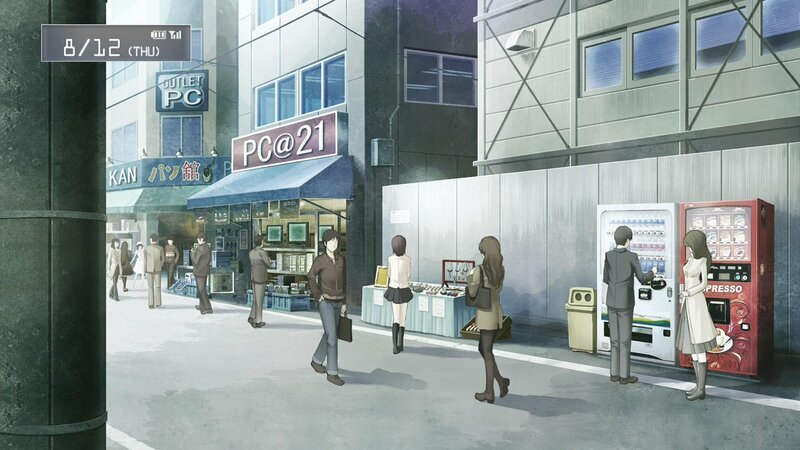 There are soda machines hiding amidst the Akihabara crowds in Steins;Gate.